Casey, the short film I co-wrote with CatsEyeCinema’s Cody Westman is available online right…here. Cody also put together this great piece for CBC about his experience at the Cannes Film Festival. 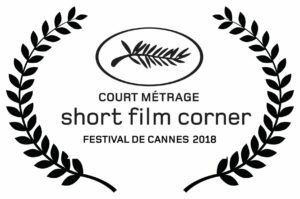 Casey was selected to screen at Telefilm Canada’s Not Short On Talent – Short Film Corner at Cannes! 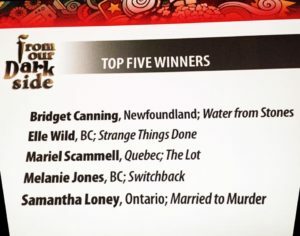 Casey, the short film I co-wrote with Cody Westman, is part of this year’s St. John’s International Women’s Film Festival! Showtime is October 20th, details here. This month, I pitched my script for Water from Stones in the Directed by Women: Pitch and Networking Session at this year’s Frontieres Market in Montreal. 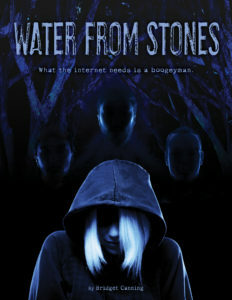 Water from Stones was mentioned in IndieWire: Fantasia’s Frontieres Market: The Best Horror Films Yet to Be Made. 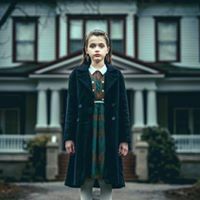 I’m a co-writer on Casey, a short film produced through NIFCO’s Picture Start Program. 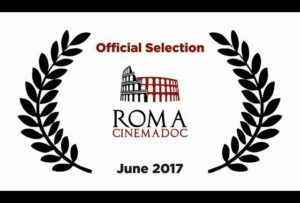 It’s just picked up its first two festival acceptances – and an award with the Around International Film Festival in Berlin! You can watch the trailer here. You can follow its progress on the Casey – Short Film Facebook Page. 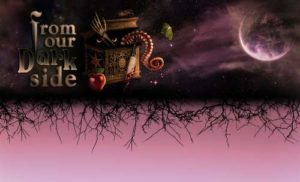 My film synopsis, Water from Stones was one the winners of this year’s From Our Dark Side genre concept competition. I’m currently taking part in an incubator program with an opportunity to pitch Water from Stones at the Frontieres International Co-production Market in July. 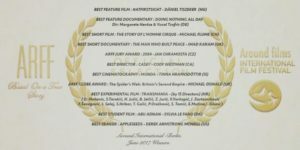 The winners of the 2017 From Our Dark Side Genre Film competition at the Vancouver International Women in Film Festival.